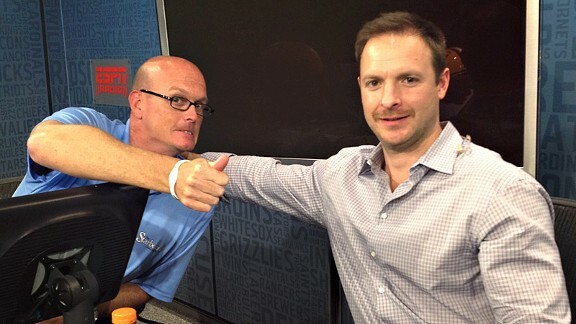 SVP & Russillo: Be awesome. ESPNRadio Scott and Ryen share their thoughts on SVP & Russillo's six-year run, the U.S. Open and the NBA draft. Friday, Scott Van Pelt and Ryen Russillo reflect on SVP & Russillo's time on the air, share their thoughts on LeBron James' relationship with David Blatt and more. Listen to the best highlights of the show below! 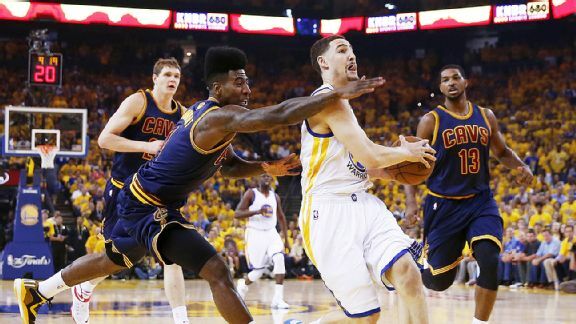 Jason Miller/Getty Images Michael Wilbon talks about the Warriors' place in history and Stephen Curry's influence on the game. Thursday, Scott Van Pelt and Ryen Russillo look ahead to the 2015-16 NBA season, share their thoughts on Johnny Manziel's remarks about changing his lifestyle and more. Listen to the best highlights of the show below! AP Photo/Paul Sancya Chauncey Billups talks about the naming of Andre Iguodala Finals MVP and winning a championship. 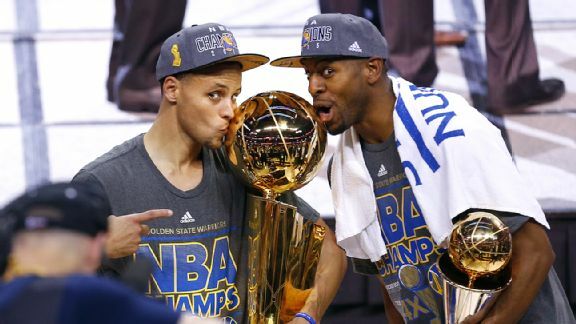 Wednesday, Scott Van Pelt and Ryen Russillo react to the Warriors' NBA championship, the naming of Andre Iguodala as Finals MVP and more. Listen to the best highlights of the show below! Kevin Roche Peruse previously unreleased SVP & Russillo art, featuring Outsider Mike, the guys in studio and more. Bruce Bennett/Getty Images Steve Levy talks about the Blackhawks' Stanley Cup victory and Corey Crawford's postseason play. 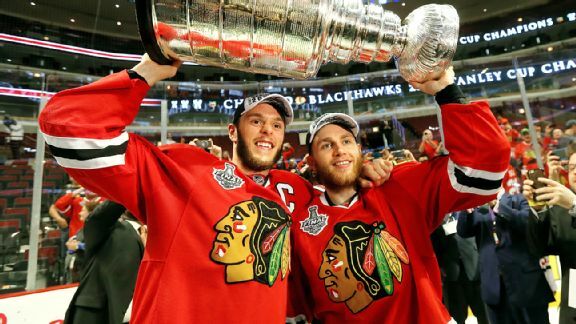 Tuesday, Scott Van Pelt and Ryen Russillo share their thoughts on the Blackhawks' Stanley Cup win, Game 6 of the NBA Finals and more. Listen to the best highlights of the show below! Ezra Shaw/Getty Images Mike Conley talks about what makes playing the Warriors difficult and the outlook for the Grizzlies. 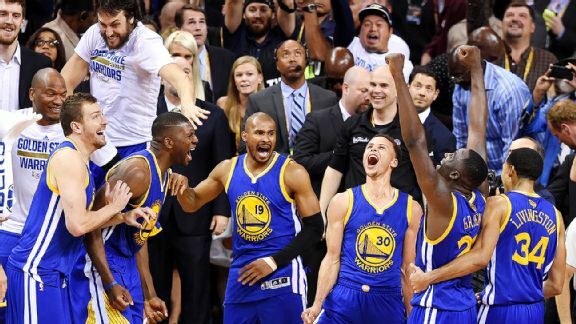 Monday, Scott Van Pelt and Ryen Russillo share their thoughts on the Warriors' win in Game 5 of the NBA Finals, Michael Sam's departure from Alouettes camp and more. Listen to the best highlights of the show below! 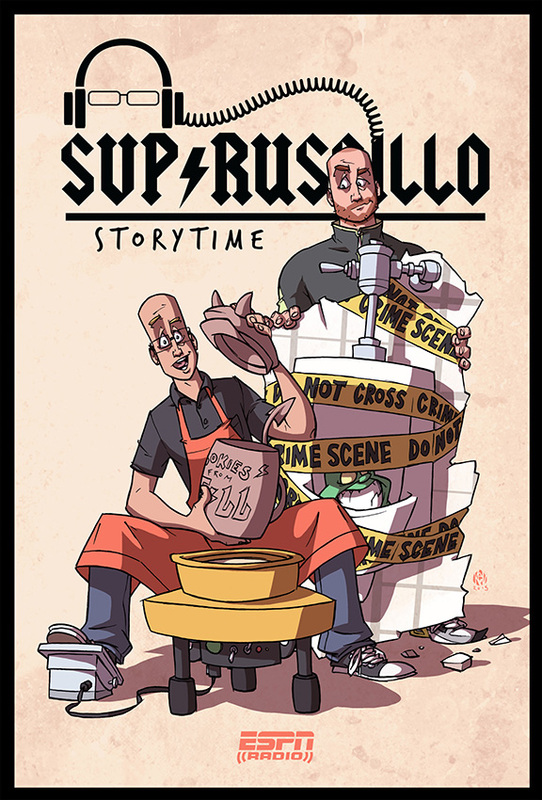 ESPN Radio/Ray Necci Take a listen to some of the memorable moments from SVP & Russillo throughout the show's run. 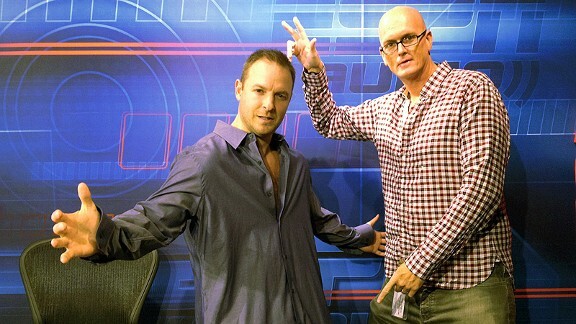 SVP & Russillo's last day on air is June 19. Listen to some of the show's top moments below.